Afrivista Tours Stellenbosch South Africa .Wine Tours is our speciality! 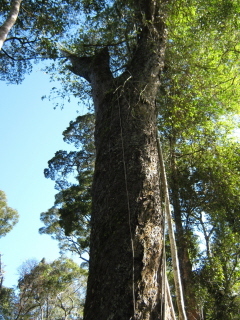 / General Tour Photo Gallery / Tour Action Photo's / 800 year old Yellow wood tree in Tsitsikamma forest. 800 year old Yellow wood tree in Tsitsikamma forest. It was a bit to big to fit in on one fhoto! Much obliged to you for some other educational site. The place else may just I get that sort of data written in such an ideal strategy? I have an endeavor that I am just presently running on, and I've been at the look out for such information. Extraordinary Post, I am a noteworthy follower to forming comments on locales to enlighten the blog creators understand that they ve added something valuable to the web! Love the blog and I truly delighted in it low. I am so pleased to be here and to accumulate this wonderful post. woowwwww. when i was read your article i just said wowww. cause you gave jusssttttt amazing knowladge through your articles thanks.